Active, whole-class learning is supported by grammar and skills work applied in natural contexts. 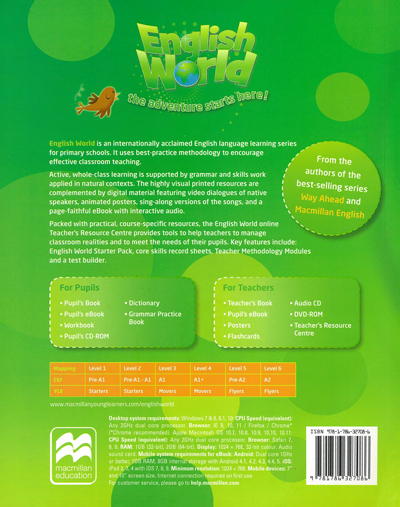 The highly visual printed resources are complemented by digital material featuring video dialogues of native speakers, animated posters, sing-along versions of the songs, and a page-faithful eBook with interactive audio. Packed with practical, course-specific resources, the English World online Teacher's Resource Centre provides tools to help teachers to manage classroom realities and to meet the needs of their pupils. 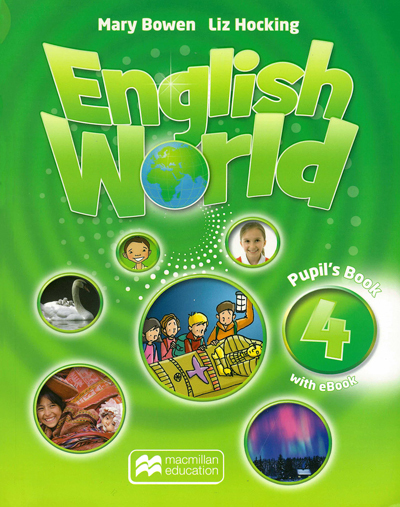 Key features include: English World Starter Pack, core skills record sheets. Teacher Methodology Modules and a test builder.